BETWEEN TWO SHORES features material captured in New York and Chicago with a revolving cast of musicians. In addition to Blade, the record also features Thomas Bartlett, Brad Albetta and Rob Moose who appeared on much of Rhythm and Repose. However, it’s Glen’s touring band - Joseph Doyle, Rob Bochnik, Graham Hopkins, Justin Carroll, Michael Buckley, Ronan Dooney and Curtis Fowlkes - that feature most prominently and take centre stage on tracks like the upbeat ‘Roll On Slow’ and contemplative love and loss of ’Why Woman’. 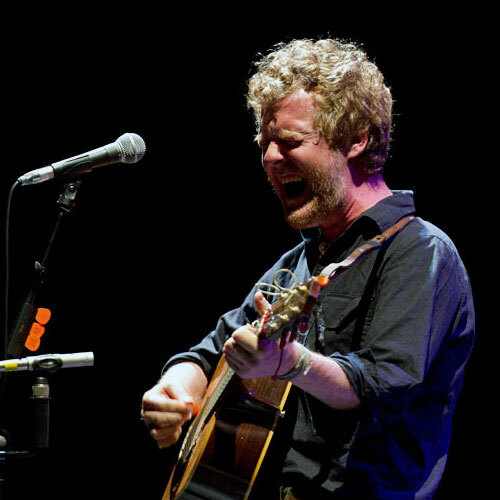 It was a typical reaction to the quality, emotion and connectivity of Glen Hansard. It is also one of the many reasons why I believe this latest release to be one of hiss finest: he has captured that intimate and passionate live experience by the truckload. His song-writing has always been one of his major strengths and unlike most artists today Hansard’s songs reflect his own experiences, feelings and observations set to often the most powerful of melodies. If any artist existing today can make one feel very emotional, it’s Hansard. The album’s downbeat, rhythmic bass-driven opener ‘Roll On Slow’ is a blues-infused treat. The use of brass and the most wonderful guitar riffs give this beauty a traditional feel with Hansard adding drama with that venomous voice of his. ‘Why Woman’ is a slow and sadder romantic ballad where he reflects on a past/lost relationship. Hansard’s pleading and reflective voice rises above the swaying brass instrumentation which again is used with tremendous effect. ‘Setting Forth’ repeats the sad romantic message in a song that is both narrative and conversational - it’s as though he’s using his music to communicate to his lost lover. It’s this openness and honesty that connects so much with his fans who can relate so easily to him. This is an example also of the direct and wholly accessible nature of Hansard’s lyrics which tend not to hide behind complex poetry which are left open to interpretation and are so often unfathomable. The brass intro of ‘Lucky Man’ reminds me of the Hovis advert and continues in nostalgic but optimistic mode. It moves gently along with another strong melody as it builds to one of Hansard’s typical gut-wrenching crescendos with Hammond and trumpets in tow. ‘One Of Us Must Lose’ is another reflective romantic piece about accepting unwelcome romantic scenarios while ‘Your Heart Is Not In It’ provides a more stripped-down instrumental backdrop with drums and keyboard dominating. It’s a beautiful but utterly heart-breaking song whose vocal convinces that the emotions conveyed are as true as they sound. It’s one of my favourite tracks on this wonderful album. Finally ‘Time Will Be The Healer’ sounds like it’s a closer to a real romantic chapter. Lyrics are typically hard-hitting and intense - “That’s what you get for loving someone else’s man…keep your friends and neighbours close at hand…time will be a healer once again“. It’s also arguably the most passionate vocal here. 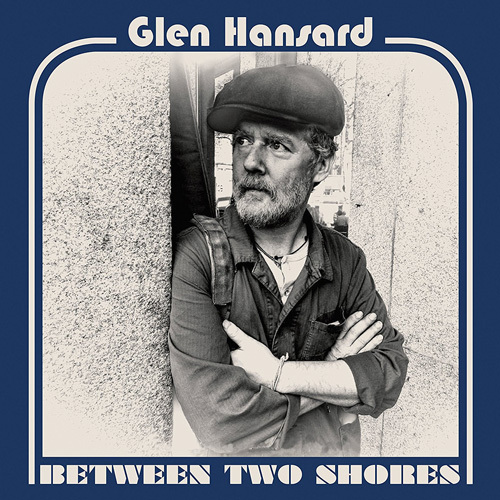 Hansard has come up trumps again with a collection of songs that are deeply personal but immensely accessible with typically strong melodies and orchestrations that are very different from past albums. It’s a triumph and for me one of his finest creations. It’s also potential album of the year and essential.